Three is no way to know what you have. BMXs are generally very similar. Serial numbers are not like VINs on a car, they are not catalogued together anywhere and they're not even guaranteed unique across a manufacturer. Your best bet is to talk with whoever supplied the frame. Ask them for info, but sellers may state its ValuableBrand when its not. You appear to have a lot of bearings and parts, which is awesome and uncommon. Simply paint it and reassemble, and enjoy the bike for what it is. Just don't label it as something its not. You can get custom decals made up for cheap, call it a "Jutorrey" and you're no less wrong than anyone else. Not the answer you're looking for? Browse other questions tagged identify-this-bike bmx or ask your own question. Why shouldn't I care what model/make/year my bicycle is? What is the purpose of a serial number? Should my aftermarket frame have a serial number on it? 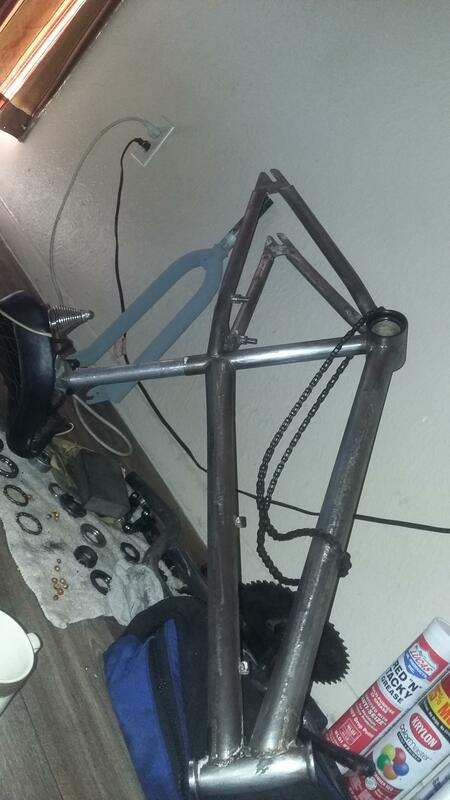 Does anyone know what frame my bike is pls?